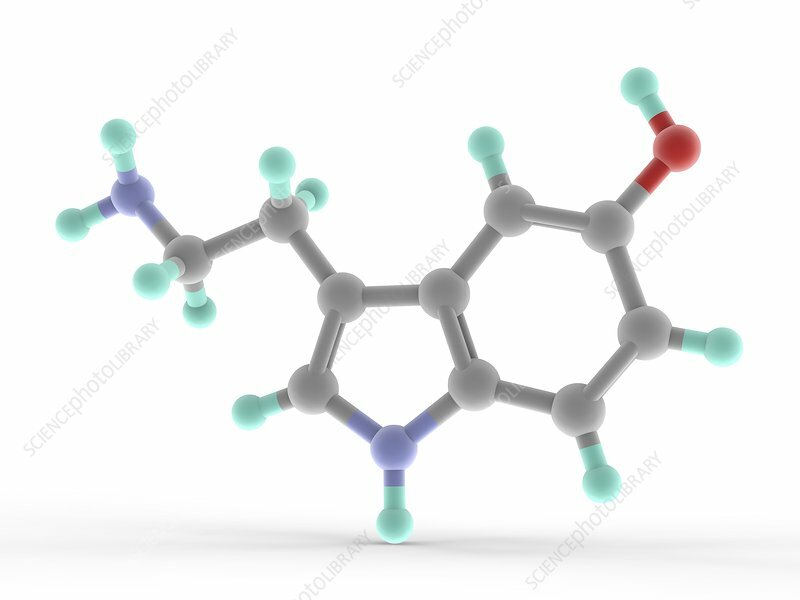 Serotonin, molecular model. Monoamine neurotransmitter popularly thought to be a contributor to feelings of well-being and happiness. Atoms are represented as spheres and are colour-coded: carbon (grey), hydrogen (blue-green), nitrogen (blue) and oxygen (red).